It is said that you never get a second chance to make the first impression. This saying applies in every field of life and dentistry also falls under it. The dentists should really prepare themselves before meeting a potential patient in order to develop trust. This trust can pave the way for a long-lasting relationship between the dentist and the patient that also continues to the next generation. One of the most important factors in making a good first impression is to have a professional staff at your clinic. You should hire a dynamic person, who loves their job, for the front desk. They should know the proper etiquettes of welcoming and guiding the patients. The front desk person should also be familiar with phone etiquettes. They should be nice to the people trying to book appointments through the phone. The person at front desk should also be aware what to ask and what not to ask the patients. For example, if a patient asks them to schedule an appointment for Aldie Teeth Bleaching, then they shouldn’t ask them why they need this service. A good dentist should always have an experienced assistant, who makes the patients feel comfortable, by their side. When a patient meets the dentist for the first time, they expect to meet a person who is genuinely concerned regarding their oral health. A dentist should make sure that the patient feels comfortable in explaining their problems openly, and the only way to do that is to display good listening gestures. Good listening gestures include maintaining eye contact at all times and smiling only during greeting and when appropriate. When talking to a patient, a dentist should turn their body entirely towards the patient to make them feel important. It is never a good first impression to let your potential patient keep on waiting even when they have arrived on time. But sometimes it can get late due to any reason. After all, a dentist is also only human. The dentist should apologize to their patients for making them wait and offer them extra care and service as a reward. For example, some clinics in Aldie, VA, offer free teeth whitening to patients who had to wait for their turn. 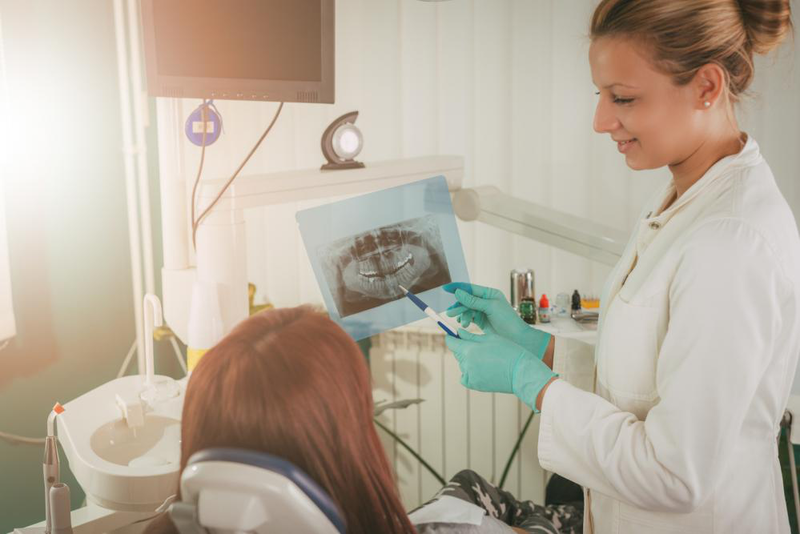 Stone Spring Dentistry is the best dental care clinic you can find in Aldie, VA. We have an excellent and experienced staff that will make you feel comfortable through their hospitality.